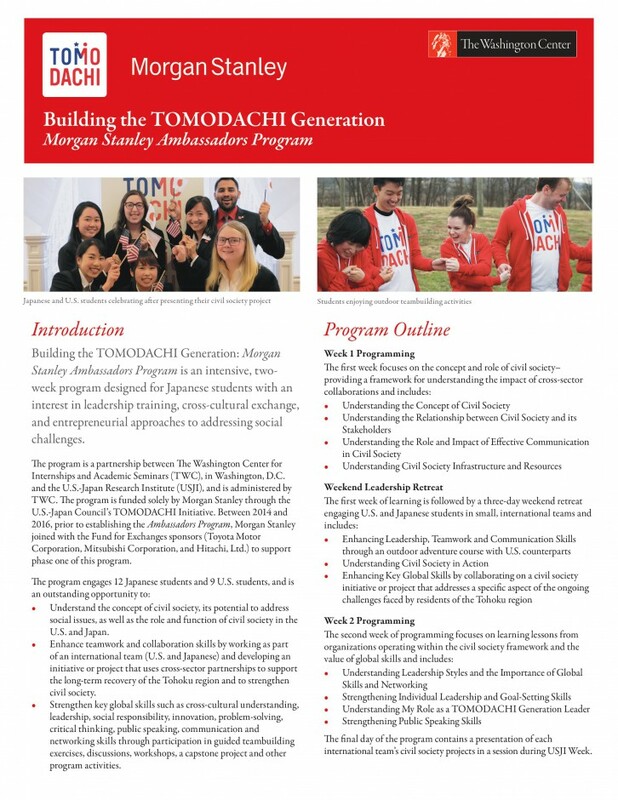 The Building the TOMODACHI Generation: Morgan Stanley Ambassadors Program is currently recruiting candidates for its 2019 program, which will take place from February 16 – March 4, 2019 (tentative). 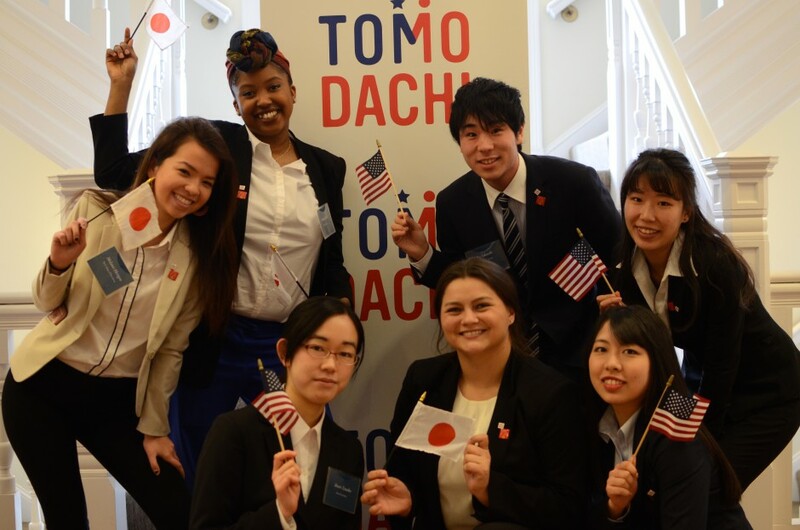 The Building the TOMODACHI Generation: Morgan Stanley Ambassadors Program is an intensive, two-week program designed for Japanese and American students with an interest in leadership training, cross-cultural exchange, and entrepreneurial approaches to addressing social challenges. This program is generously funded by Morgan Stanley. Students attending the U.S.-Japan Research Institute (USJI) member universities (Doshisha University, Keio University, Kyoto University, Kyushu University, Ritsumeikan University, Sophia University, The University of Tokyo, University of Tsukuba, and Waseda University) are eligible to apply by early July (freshmen and sophomores preferred; deadlines vary among the 9 member universities). For questions about the selection process at each university, please contact usjp@us-jpri.org. For more information about the program, check out the program brochure below or go to The Washington Center for Internships and Academic Seminars (TWC) website.